February marks Psychology Month in Canada, and at the Children’s, we know that patients and families’ psychological health is deeply linked to their physical health. 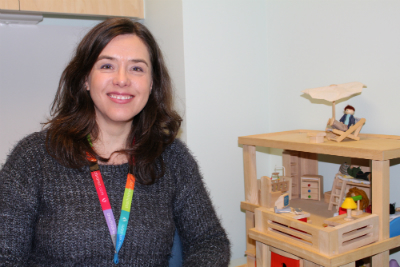 Our Dr. Geneviève Janveau is one of 20 psychologists whose role is to help patients with chronic illnesses and their families deal with an initial diagnosis and to help them adjust to their illness. For the past two years, she has worked in Hematology-Oncology, helping patients and families who’ve received a cancer diagnosis.